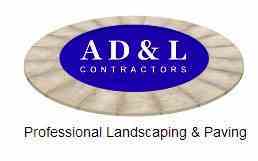 Advance Driveways & Landscape Contractors Ltd - Driveways/Patios/Paths, Landscaper based in Staines-upon-Thames, Surrey. Professional landscaping services tailored to you. Whether you want a grand driveway, off road parking, an office forecourt or a garden makeover, our designs and ideas will help make your dreams a reality. For three generations, our family have been offering quality in all aspects of service from listening to your requirements, through to the finished project. We work to the very highest standard. Every aspect of our landscaping work is completed to the highest quality by our skilled team. We take pride in every project we complete, be it on a small or large scale. Affiliated with Marshalls, all our driveways and patios come complete with a seven year guarantee. Click here to see our gallery.